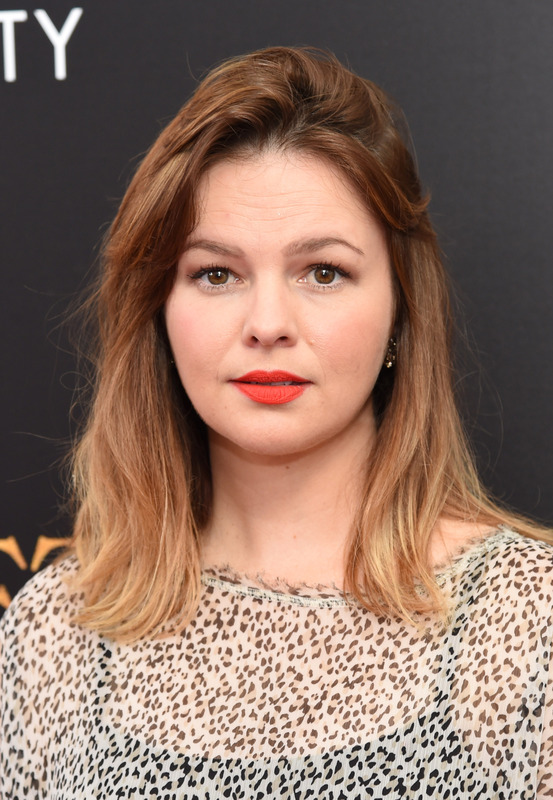 Days after claiming that she was sexually assaulted by an ex, Amber Tamblyn wrote a powerful essay about misogyny and Donald Trump's comments against women, and it is well worth the read. While Tamblyn's Glamour piece touches on the horrific and hypocritical words that have spewed out of the presidential candidate's mouth, it also examines exactly what misogyny entails — and it's a difficult definition to nail down. "Sunday night, I sat in my living room with a small group of friends expecting to watch the Presidential Debates, but instead we found ourselves tuned in to the One Man Misogyny Olympics. Donald Trump, winner of the Cave Man Cognition medal, the Menacing Lady Lurker medal and the Demigod of Demagoguery medal, is merely the latest spittle dripping from the larger carafe of backwash that has fed and kept the sport alive for as long as human beings have existed. What was supposed to be an evening of conversation about ideas and solutions for the country between Mr. Trump and Hillary Clinton turned into an emotional beating before it had even begun." I may have ~LOLed IRL~ at some of Tamblyn's on-point phrases ("One Man Misogyny Olympics" got me), but clearly the topic at hand is no laughing matter. Trump's opinions on women are not only despicable, to say the least, but having his words unearthed in front of the entire world — only to realize that this man is still in the running to be the president of our country — is flabbergasting. Imagine a country where the person in the most powerful position of all says these things. To paraphrase Tina Fey in Mean Girls, that only makes it OK for other people to do these things. "I thought to myself: What is Misogyny? No, seriously, what the hell is it? Yes, we know the definition — an ingrained prejudice or distain around women — but how do you prove that? The ingrained part?" Tamblyn questioned. "How do you point to it, reveal it, grab it by its P*ssy Bow and show those who cannot see it what it is — how it lives and breathes in the world?" "If you’re a woman in America there’s a 10 in 10 chance you’ve experienced it — whether you recognize it or not, whether you’re ready to admit it or not. It’s a culture that talks down to you. It’s a person, maybe a boss or a boyfriend, that wishes you would think more 'rationally' and less 'emotionally,' that wholly dismisses women’s emotional intelligence as something we shouldn’t think with. It’s holding female presidential candidates to impossible standards far beyond those of male candidates. It’s a party nominee who, in one sentence, brings up the affairs of his opponent’s husband, and in the very next breath tells her she can speak first because he’s 'a gentleman.'" In short, Tamblyn argued, misogyny can be subtle. It can be confusing and maybe unnoticeable at first and probably filled with hypocrisy. But it can also be loud: Loud like Trump, who has referred to women as pretty much every sexist, degrading, disgusting name under the sun. But as loud as his words speak, for everyone who speaks out against it — Tamblyn very much included — their voices, hopefully, will eventually be loud enough to drown it out. We just have to listen.